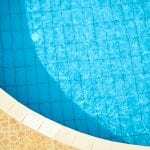 Our swimming pool services are highly varied and have been refined time and time again based on what we know our customers in Concord need and want. At Cayman Pool & Spa, we proudly provide all the swimming pool services and supplies you could ever need all in one place. For over a decade, we’ve been helping people just like you in the Concord, North Carolina area maintain their pools, and we want you to become our next valued customer. Our swimming pool services are highly varied and have been refined time and time again based on what we know our customers need and want. We offer pool water testing, pool repair, and pool cleaning, and our goal is to ensure you get as much as you can out of your pool throughout the year. Whether we come and clean your pool on a regular basis or test your water to ensure its clarity and cleanliness, we are confident you’ll be more than happy with the quality of our swimming pool services and our unique approach. We realize that owning a pool, while it can be fun and exciting, can be a lot of work. We take the hassle out of owning and maintaining your pool, so you can focus on having fun all summer long. This way, you look forward to the summer season instead of dreading it! At Cayman Pool & Spa, we can’t wait to help you keep your pool in great shape this summer and every summer to come. To find out more about our swimming pool services and what they include, get in touch with us today! At Cayman Pool & Spa, we offer swimming pool services in Mooresville, Concord, Cornelius, Davidson, Harrisburg, Huntersville, Kannapolis, Statesville, Troutman, and the Lake Norman area of North Carolina.